True forest stewardship takes individual effort and mutual cooperation. That’s why our approach to supporting the communities where we operate starts with our employees. Last year we welcomed 1,089 new employees. We’re building a collaborative work environment where we expect to fill 4,250 jobs by 2018. And we also foster local partnerships. We have longstanding business relationships with many First Nations communities, including the operation of a joint-venture sawmill in Quebec since 1999. 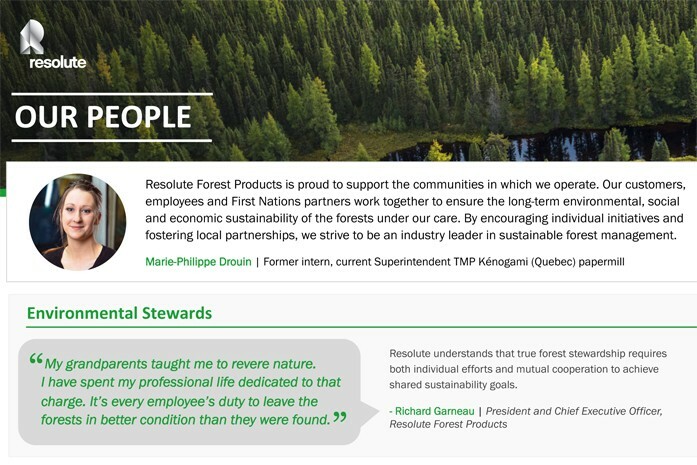 Working together with our employees and partners, we’re ensuring the long-term environmental, social and economic sustainability of the forests under our care. Want to learn more about the work we’re doing and the people and partnerships that make it happen? Download the info-sheet.